The arts refers to performing arts, literary arts, visual arts, and possibly other types of creative expression, but that is just to say that this section of my web site is about visual arts. Like the rest of my website, the parts of this section are linked in the bottom row of the navigation links that are at the top of the pages. I've written a description of the some of the parts further down this page. The art section grows as I have time to work on it. One part that is glaringly unfinished is the grades part that I started in 2009 and have not worked on it since. The Drawing with Children part is about half finished. It has always been my opinion that the arts should be included with other classes when possible. When I was in high school and taking art classes I would use the same art assignment to fulfill assignments for another class as well as for art class- when the opportunity arose to do so and I am sure that is not the best example that I could have given regarding integrating the arts into other classes. History is the most obvious subject in which to include the arts-- the music of the time, the paintings, sculpture, architecture, and the theater arts. A book that will help you with this is: The Timetables of History By Bernard Grun / Simon & Schuster. Science is another obvious subject to include art, particularly drawing. 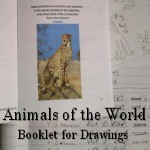 See also: Printable Nature Journals. Choose from several bordered papers, fill in the form with a drawing assignment, "Please, draw this ---", press the "Generate Worksheet" button and save the resulting "art lesson" image for printing. 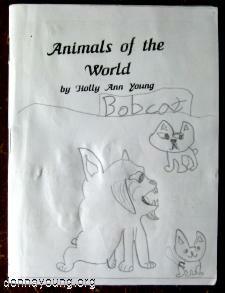 I've written several articles aimed at helping the homeschooler use this book for art classes. I used AOP LifePac Electives Art for high school art. I've written several articles about the books. The home page for Learning About Color lists the standards sequence for grades K-6. "Made for" Color Theory, is a more accruate way to descibe the following content. 2009: I have been working for a couple of months to revise the art section at DY and today, I uploaded some of the new pages. Some of the pages are unfinished, but online anyway. Almost every area in the art section is unfinished. Expect to run across typos, misspelled words, or broken links, it takes me a while to get everything right and it will take a while to finish all of the areas in art. Because so much is new, I will post a list of home pages and pages with new printable files. 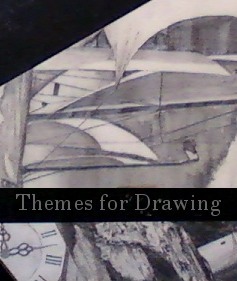 2011: The art section continues to be an ongoing project. Learning About Color I've rewritten some of the pages in Learning About Color.